One of a kind !! 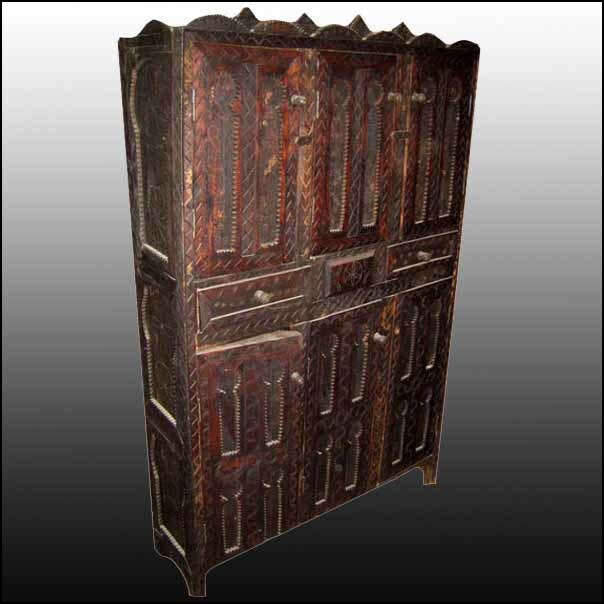 Beautifully carved cedar wood armoire from Morocco. It stands 64″ high, 42″ wide, and 12″ deep. This is a one of kind. With 6 doors and 2 drawers, it can store many of your belongings… Please contact us for a shipping quote, of if you have any questions. More pictures available upon request.